Rude Health Consulting is a global healthcare communications and consulting agency. 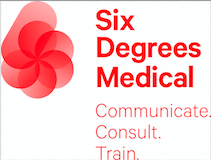 We specialise in helping healthcare companies engage, educate and empower people to make informed decisions by creating solutions that advance healthcare understanding and address unmet need – driven by our mission to enable people to live in rude health. We are socially intuitive. Attigo deliver inspiring creative healthcare communications, whilst leading the way as partner of choice for socially-conscious businesses.